This charming Pembrokeshire town has a remarkable maritime history and some of the region’s most beautiful beaches on its doorstep. Milford Haven is located on the northern banks of a dramatic estuary which has been used as a port since the Middle Ages. The excellent Milford Haven Museum provides a fascinating insight into the town’s history of whaling, dockyards, passenger liners and fishing fleets. Today, the town is a charming combination of old and new, with a variety of family-run shops and atmospheric places to eat and drink. The former commercial quayside is now lined with boutiques and stylish cafes, from which you can enjoy spectacular views across the water. Milford Haven is a popular stop for walkers tackling the Pembrokeshire Coast Path, which is widely considered to be one of the best long-distance routes in the UK. The path runs through the town as it follows the edge of Milford Haven Waterway. Follow the path to Lindsway Bay, a beautiful, sandy beach which is rarely crowded. Milford Haven is one of Pembrokeshire’s best places for a night out. As well as a variety of atmospheric, old pubs, there’s an excellent venue, the Torch Centre, where you can watch the latest blockbuster or theatre production. Don’t miss the gallery, where paintings by some of the area’s most exciting artists are exhibited throughout the year. For a bite to eat in Milford Haven, visit the Harbourmaster, a relaxed bar and restaurant with spectacular views across the marina and estuary. It has won awards for using the best local suppliers, including Narbeth Butchers and Caws Cymru Cheese. Choose from an impressive range of burgers, steaks and fresh seafood dishes. Another good option is Halen Mor, a welcoming, family-friendly restaurant which has a reputation for serving tasty, reasonably priced food. For a good cup of coffee or a hearty fried breakfast, check out the Crow’s Nest Cafe by the marina. "This charming Pembrokeshire town has a remarkable maritime history and some of the region’s most beautiful beaches on its doorstep." 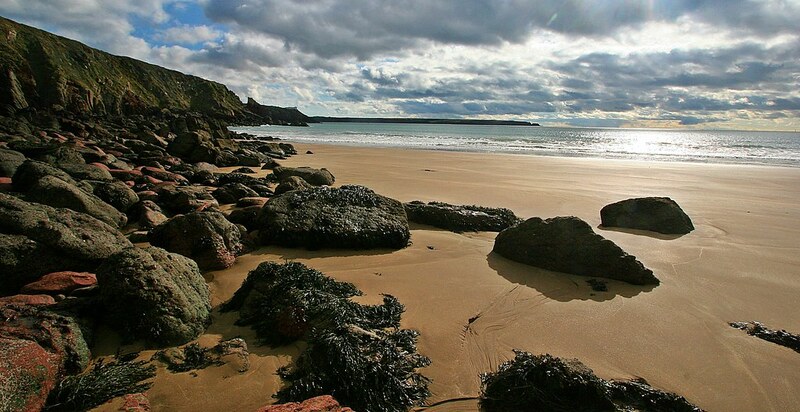 Our Milford Haven cottages are an ideal base for exploring the stunning coastline and countryside of South Wales. Along the coast, to the north and south, you’ll discover beautiful sandy beaches, many of which offer excellent surfing conditions. If you fancy a day trip, drive northwards to St David’s, a charming place which, despite officially being a city, has the atmosphere of a traditional Welsh village. Also well worth a visit is Tenby, a walled town and seaside resort with a remarkable history. Discover the local history and learn about topics from war to whaling. Enjoy a walk along this scenic stretch of coastline. Watch a live show at this modern and vibrant centre for the arts.